Welcome back to Something About Coins! 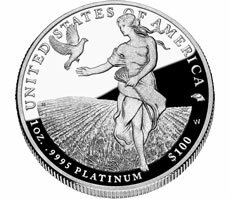 The U.S. Mint cut their price on the one ounce 2011 American Platinum Eagle coin. Advice for buying gold coins and avoiding counterfeit coins is discussed below. Unique edges given to certain coins, the story of the 1787 Fugio Cents, and new releases from The Perth Mint are also linked in today's coin blog. Enjoy!